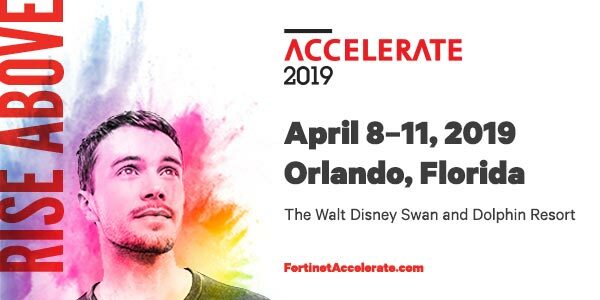 Fortinet’s annual Accelerate global partner and customer conference takes place April 8 – 11, 2019 at The Walt Disney World Swan & Dolphin Resort in Orlando, Florida. Fortinet customers, partners, industry leaders and technical experts come together to discuss the latest in network and cyber security, share ideas, learn new techniques and stay current with the ever changing demands and challenges of network security. Conference attendees can expect keynotes and sessions, hands-on labs, TechExpo, and evening networking events including the Welcome Reception, Epcot Experience and Closing Party. There will be an on-site NSE Institute offering workshops and in-depth NSE training. The conference is an ideal opportunity to learn about the latest threat trends and how to protect against them, gain hands-on technical expertise, connect with security professionals and Fortinet executives and participate in interactive sessions. 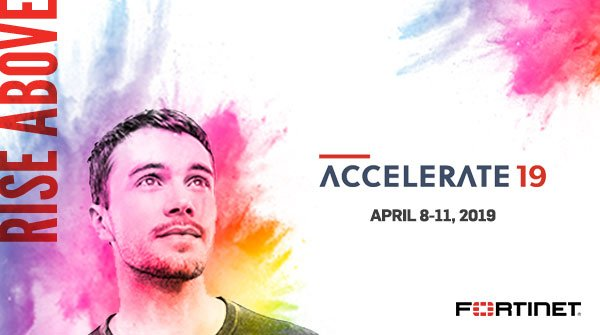 You can find more details about Accelerate 19, along with registration and early bird discounts, on Fortinet’s Accelerate web page.